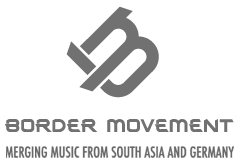 The Darkside are an international hip-hop group based in Karachi, Pakistan comprised of Asjad Ali Kazi , Taha Raza (Trax/ from Dem Rebelz) and Hamza Raza (Haze/ also from Dem Rebelz)) – each with eccentric yet complementary styles. The Darkside boast the most content-ridden lyricism in the country – an amalgamation of Old School purity/rawness and Contemporary underground integrity. The Darksides aims are to bring objective awareness of Social, Economic, Political and Psychological issues through an entertaining medium – using stimulating, innovating and efficient lyricism.